Welcome to the second day of the Percona Live Open Source Database Conference 2017, and the second set of Percona Live keynotes! It’s a bit rainy outside today, but that isn’t bothering the Percona Live attendees (we’re all indoors learning about new open source technologies)! Join Percona and the Diamond sponsors of the conference, VividCortex and Continuent to talk database trends. 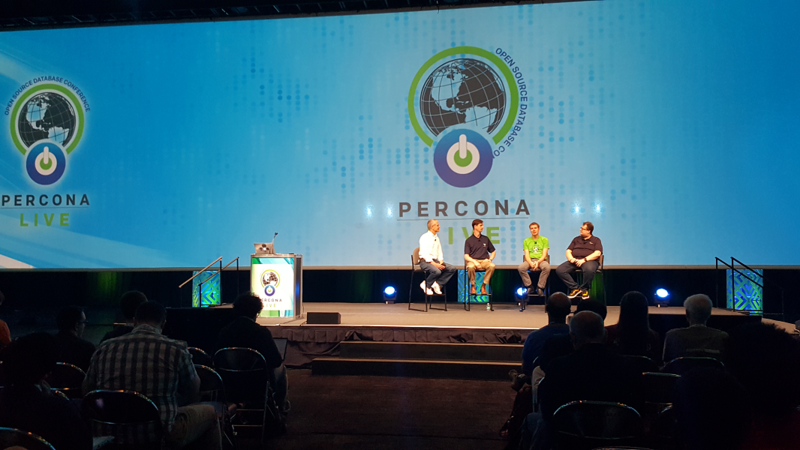 They provided their thoughts on Paul’s talk (above), time series data and database development, whether SQL databases should continue to develop for “niche” functions and what we should be looking for at Percona Live 2020. 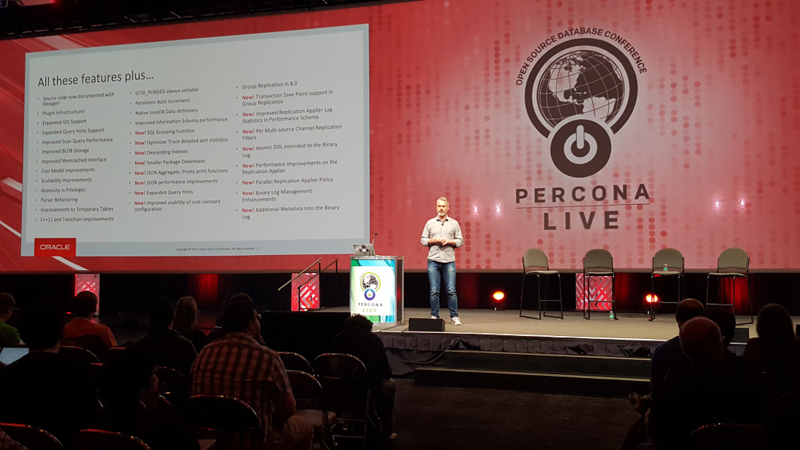 Tomas Ulin, VP of MySQL Engineering at Oracle, provided this morning’s audience with a big picture overview of MySQL 8.0 development priorities, features that are available, and what is coming in upcoming releases. He covered MySQL 5.7, MySQL 8.0 and InnoDB Cluster. 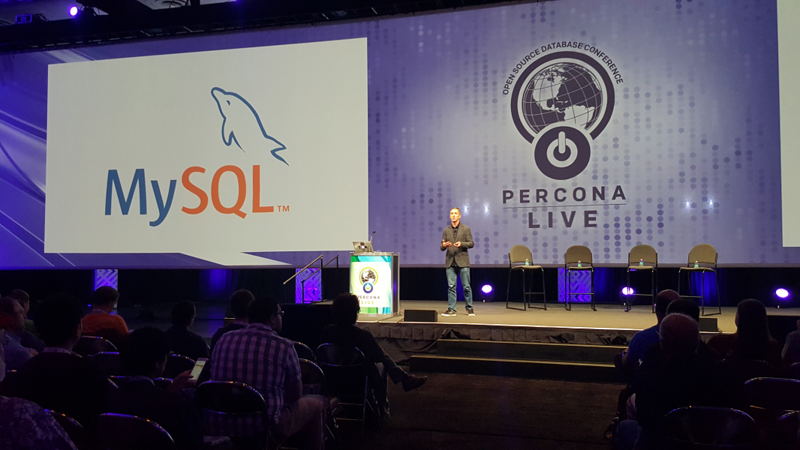 He also discussed MySQL’s roadmap and featured some benchmark performance comparisons. Baron Schwartz of VividCortex gave an insightful lecture on “observability” in the data layer. The world of technology is undergoing a rapid and permanent shift. He pointed out how we all know that we’re moving to the cloud at an accelerating pace. The fundamental change that’s taking place today is that our applications are far more distributed than they’ve ever been, in nearly invisible ways. And that’s not good, because invisible means unmeasurable. 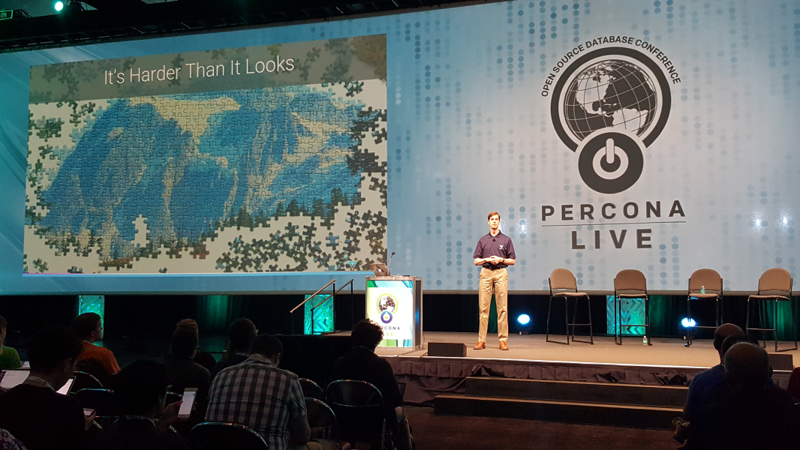 He posited that “observability” is the new goal for all the data that is available to businesses, and that businesses should make decisions based on what the data says about what customers want.